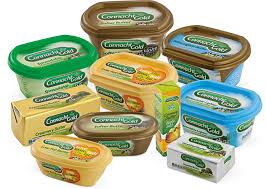 There are fears over the future of jobs at the Aurivo butter packing plant in Achonry following the decision of the company to transfer the operation from South Sligo to a new facility run by Ornua in Mitchelstown. The company, which is a substantial shareholder in the Cork-based operation, manufactures a range of dairy products under the Connacht Gold brand name. A 30-day consultation has started with the 20 affected employees, during which, the company said, it will be exploring options, including whether there are opportunities to relocate the workers to other operations within the Aurivo business group.